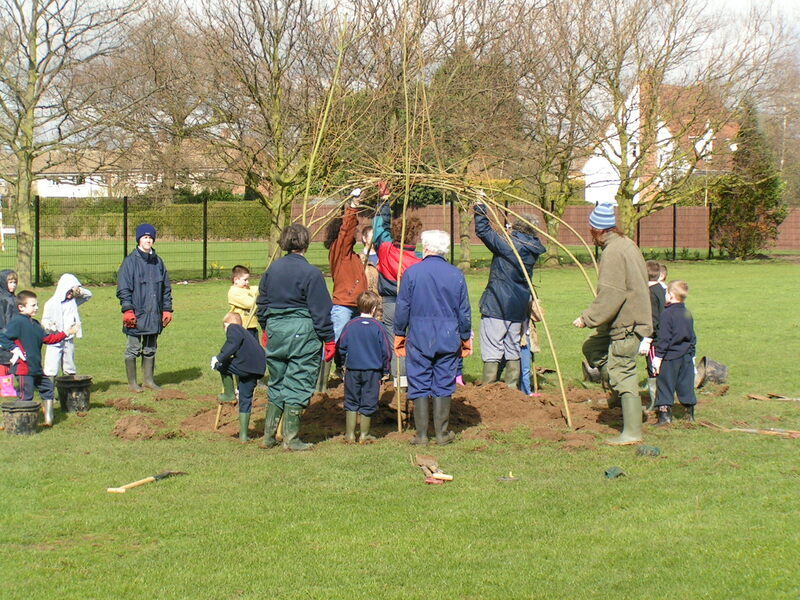 The members of TWIG frequently attend St. Nicholas's school in Tillingham, working with the whole school with seed gathering and planting, hedge planting, care and cultivation and other aspects of environmental studies. We envisaged the proposed St. Paul's Wood being used as an outdoor class room for many subjects. November 2008, The head of St. Nicholas's, Hilary, is now our liaison officer! Sadly 2011, Hilary has moved away and we have yet to have another contact at the School step forward.